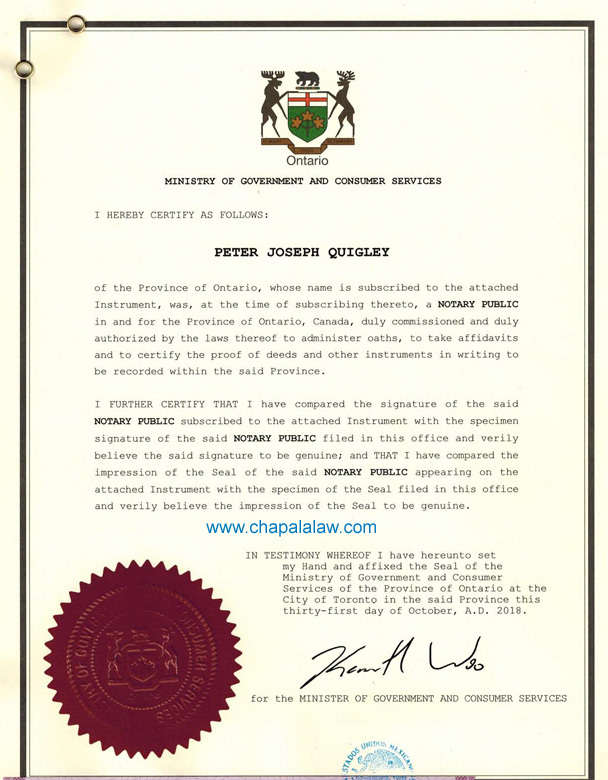 Canada is not a party to the Hague Convention so in order to present public documents (birth / marriage / death) certificates, notarized documents or documents from a court, they must have a purple legalization seal placed on the document by the Mexican Consulate in the province where the document was issued. 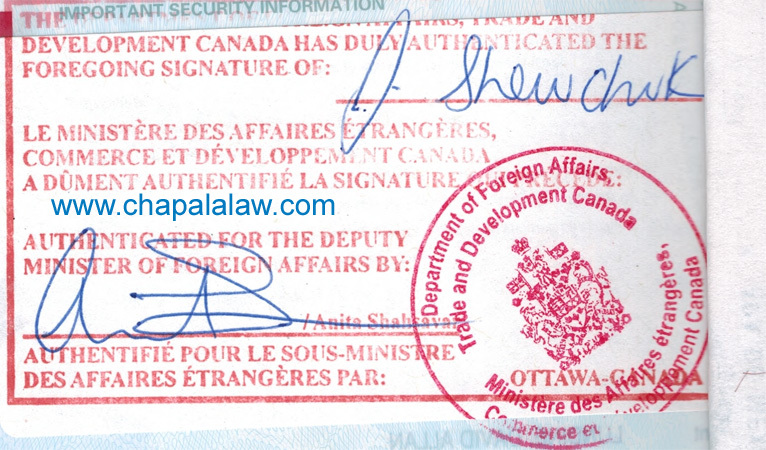 If the document is notarized, many times the Mexican Consulate requires that there is first a certification attached to the document from the Ministry of Government and consumer Services. 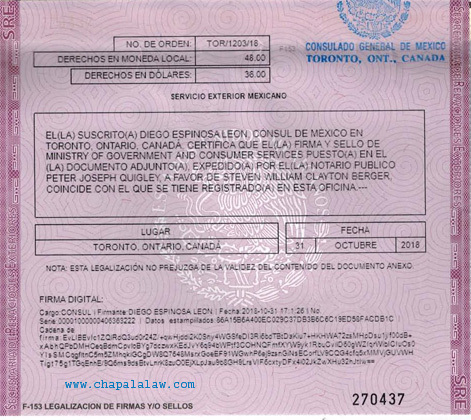 For many long form (birth / marriage / death) certificates some Mexican Consulates require a red authentication seal from the Minister of Foreign Affairs prior to placing the legalization sticker. 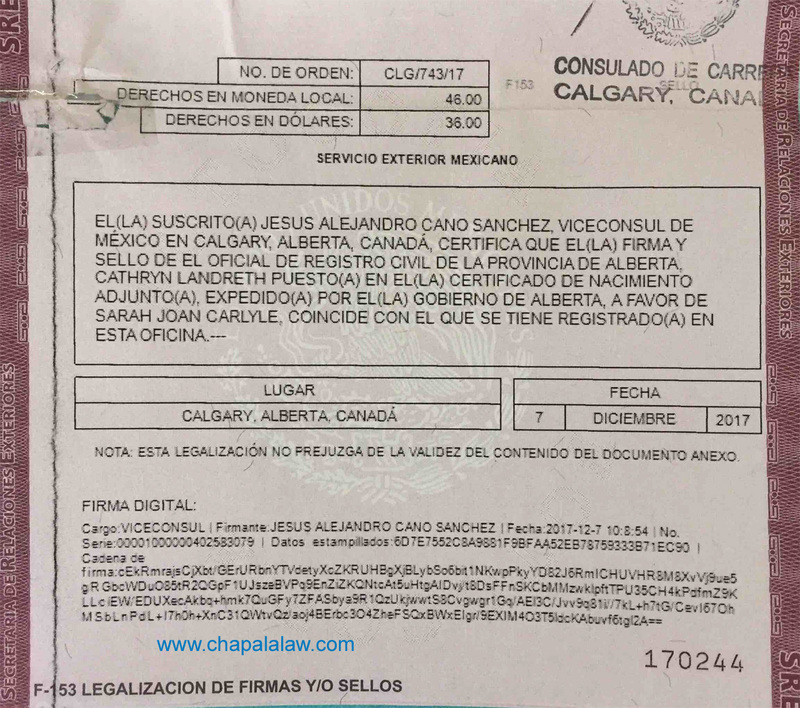 The Mexican Consulate will not legalize wallet sized (birth / marriage / death) certificates, they also usually do not accept documents by courier (UPS, Fedex, DHL, etc.) and ask you personally present them along with cash or a cheque in Canadian Dollars. In the end, your goal if to have the purple legalization sticker on any documents you need to present in Mexico as if you do not have one, even if the document is certified, it will be rejected. Each Mexican Consulate has their own policies depending on the type of document to legalize and their policies on receiving and dealing with documents so call or email them to see what their policy is.